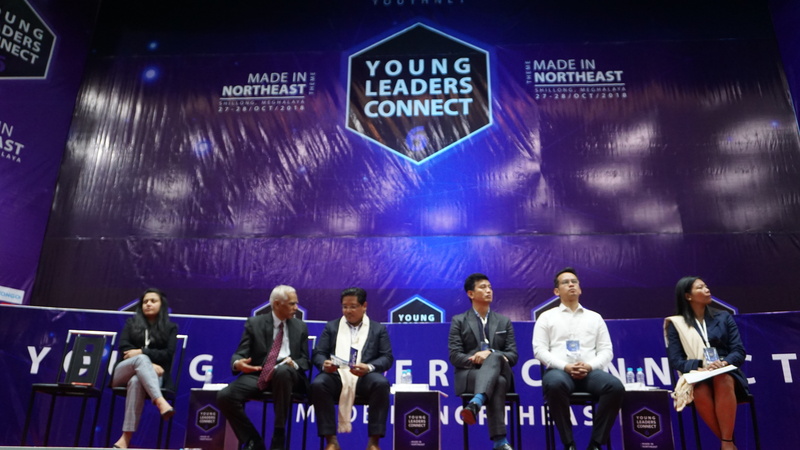 Young Leaders Connect, the conclave that provides a common platform for young leaders and achievers from the North-East, was held on 27 and 28th of October 2018 at the North Eastern Council auditoriums, Shillong, Meghalaya with the theme for the 6th edition as “Made in North-East”. 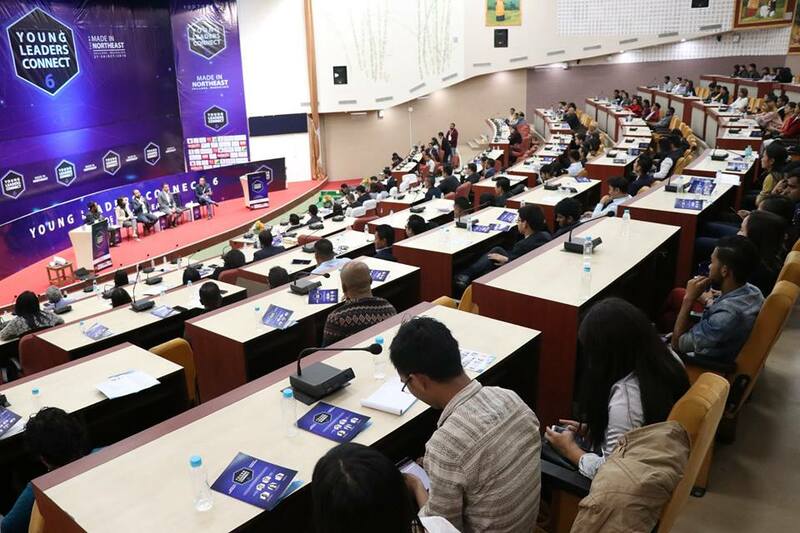 Riding on the Hon’ble Prime Minister Narendra Modi’s ‘Made in India’ campaign the conclave focused on entrepreneurship in the North-East region. 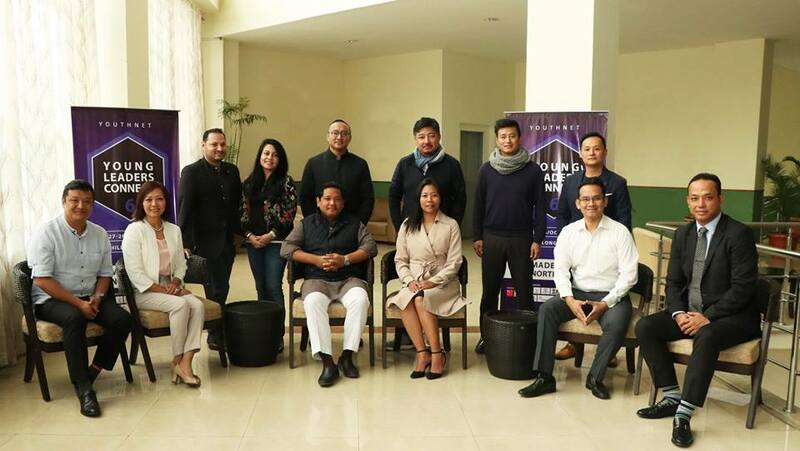 The conclave not only brought together young leaders from the North-East and rest of the country, but also engaged policy makers, strategists, entrepreneurs, professionals, members of academia, and students to join the development discourse. Mr.Conrad Sangma, Chief Minister Meghalaya a core member of YLC was the Chief host , who in his speech mentioned the need to take entrepreneurship forward for other areas to be developed, while mentioning about the scope of entrepreneurship he noted the importance of value chain proposition for entrepreneurial interventions also referring to the use of information technology, need for Incubation center. Stating that to take Made in North East ahead, more effective and efficient policy, infrastructures will help in taking North East forward. He also mentioned about Meghalaya Kisan Call Centers which assist issues from plant to logistic to the retail outlet instantly in the local language. The system has also helped in tracking the database of demand and supply economics. Mentioning that is tremendous scope in food processing to bring more avenues, all the NE states should in fact come together for a common intervention to take North East forward. 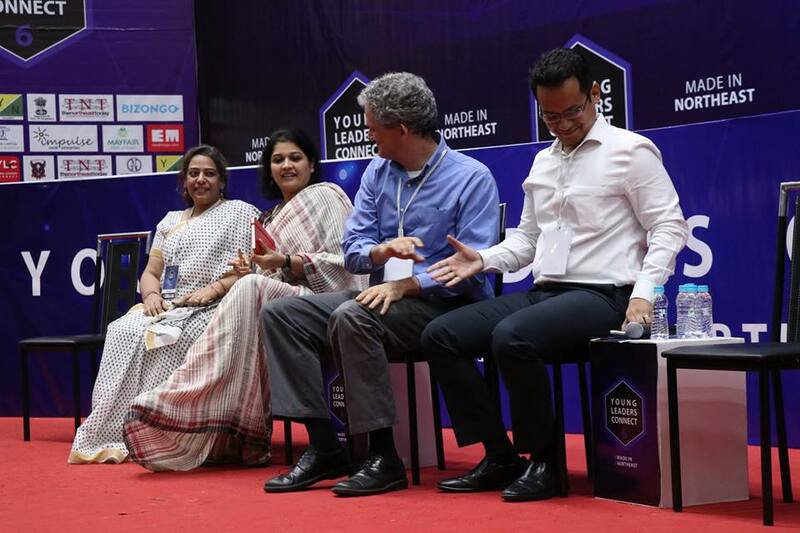 ‘Made in NorthEast’ mentioned the need to take learning forward. Highlighting the need to collaborate amongst North East state he took the classic example of Europe economic strategy, common market coordinating for a greater purpose. Networking is incredibly important for North East not only physically but by digital platform. North East covering only eight percent of land in India has more than one third of India’s water. Mentioning that fifty percent of the country’s pineapple is from North East, today the market is there the question is how do we come forward, while access to finance is an issue faced by entrepreneurs, it is mostly lack of awareness among the aspiring existing entrepreneurs. He also mentioned on modalities for companies in North East and highlighted on Venture Capital, Block chain technology and its utility for farmers and entrepreneurs, opportunities for Invest North East show in the future. The conclave have brought together young change makers and leaders from diverse fields like business, politics, academia, sports, music and culture come together, put their heads and hearts together to plan where they would like to see India vis-à-vis North East in the future, plan a roadmap, and strategize on interventions at the grassroots and policy level. 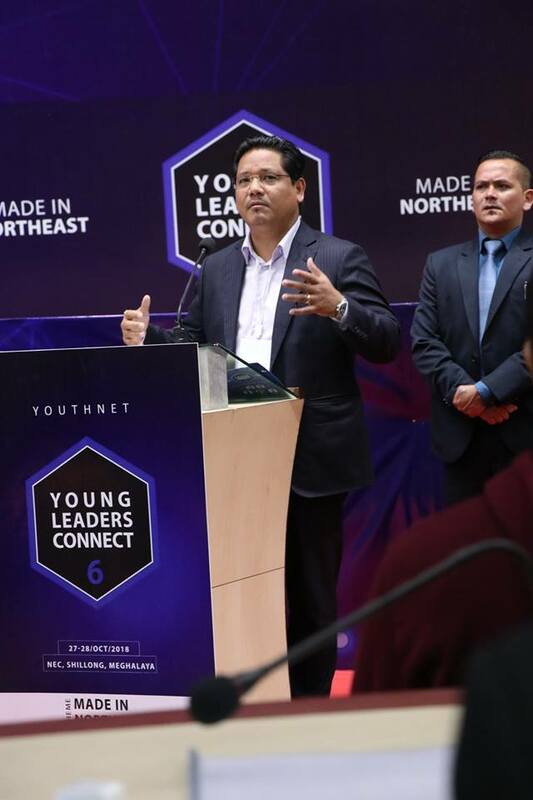 Earlier the welcome address was delivered by Ms. Hekani Jakhalu (Chair, Governing Council, YouthNet), OPENING REMARKS was delivered by Mr. Bhaichung Bhutia (Chair, Young Leaders Connect),remarks on JOURNEY & VISION OF AN ENTREPRENEUR by Ms. Tanushree Hazarika (Co-Chair YLC-6 & Director Taatva Creations & Co-founder Atvi), note on A STRONG NORTHEAST IS INDIA’S STRENGTH by Mr. Gaurav Gogoi (Hon’ble Member of Parliament), closing remarks by Mr. Larsing Ming Sawyan (Co-Chair YLC-6 Managing Director, Centre Point Group Enterprise). There were also 21 graduates of YLC’s North-East Entrepreneurship Fellows. There were also panel discussion on topics such as Entrepreneurs of Northeast – The Game Changers, Creating Eco-System for entrepreneurs to thrive – A policy perspective, expert perspective on branding & packaging for North East products, expectations from funders & investors towards creating an enabling environment to operationalize in the North East, and In conversation with the stars. 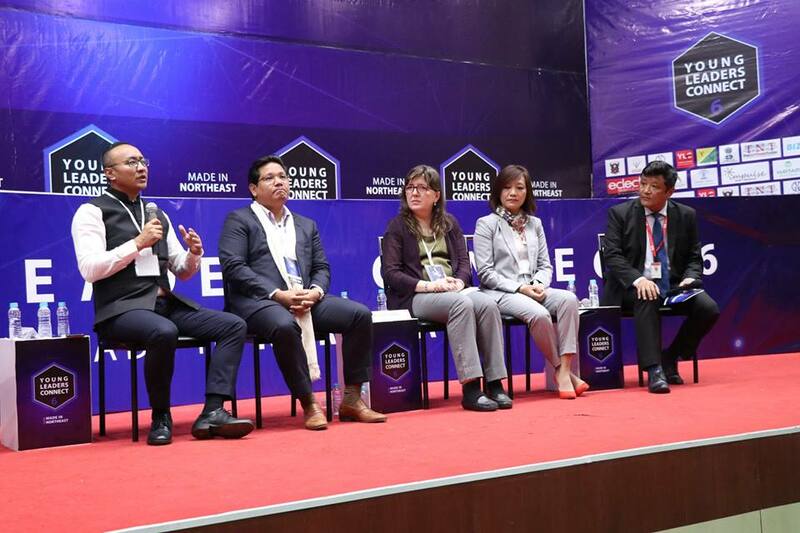 Some of the speakers of the conclave include Mr. Lezo Putsure (Director, YouthNet), Ms. Zeinorin Stephen (Hill wild Pvt.Ltd, Manipur), Mr. Rewaj Chettri (Forbes 30 under 30, NE Taxi.com, Sikkim), Mr. Arindam Hazarika (Director, Arohan Foods Pvt. 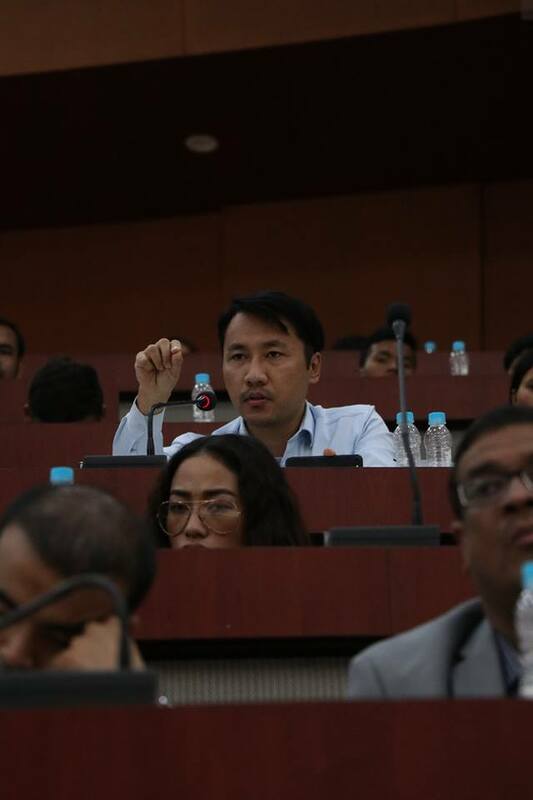 Ltd, Assam), Ms. Rosanna Lyngdoh (Impulse Social Enterprises, Meghalaya), Mr. Karma Paljor (Promoter and Director Atvi Infotainment Pvt. Ltd), Ms. Sushmita Dev (Hon’ble Member of Parliament), Mr. Mmhonlhumo Kikon (Hon’ ble Advisor-Science & Technology & IT Nagaland) Mr. RK Imo Singh (Hon’ble MLA, Manipur), Ms. Sabina Pandey (Regional Director, Indo-German Chamber of Commerce), Bizongo, Mr. Gaurav Gogoi (Hon’ble Member of Parliament), Mr. Aakash Sethi (CEO, Quest Alliance ), Mr. Erik Azulay (Director, Nexus, American Centre), Dr. Rohini Chaturvedi (Director, Sustainable Landscape and Restoration, World Resource Institute India), Radika Singh (Assistant Director East & NE India, British Council), Mr. Abu Metha (Secy. General, NDPP Nagaland), Mr. Jaccky Bhagnani (Actor), Ms. Ketholeno Kense (Vogue Model of the Year). 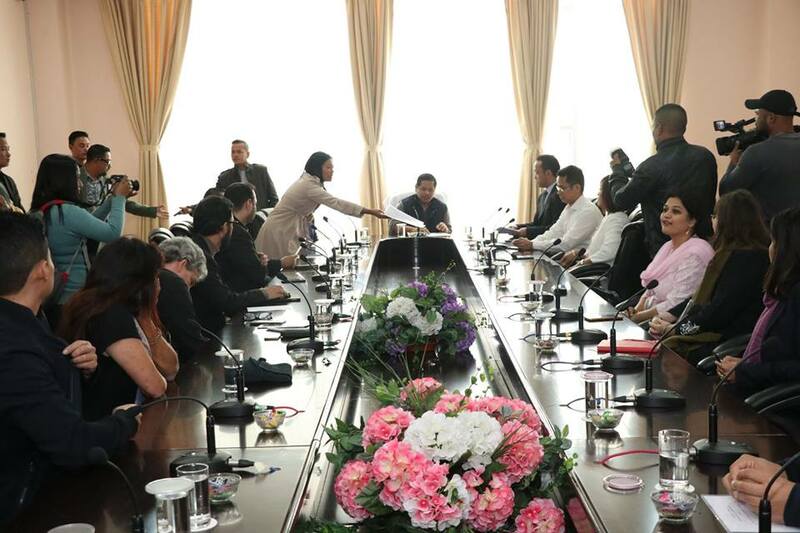 On the 28 October the round table discussion was chaired by Chief Minister Conrad Sangma . Three important recommendations were discussed – setting up of incubation centre focusing on Made in NE , North-East Entrepreneurship Fellowship and procurement of Made in North-east products and marketing it. 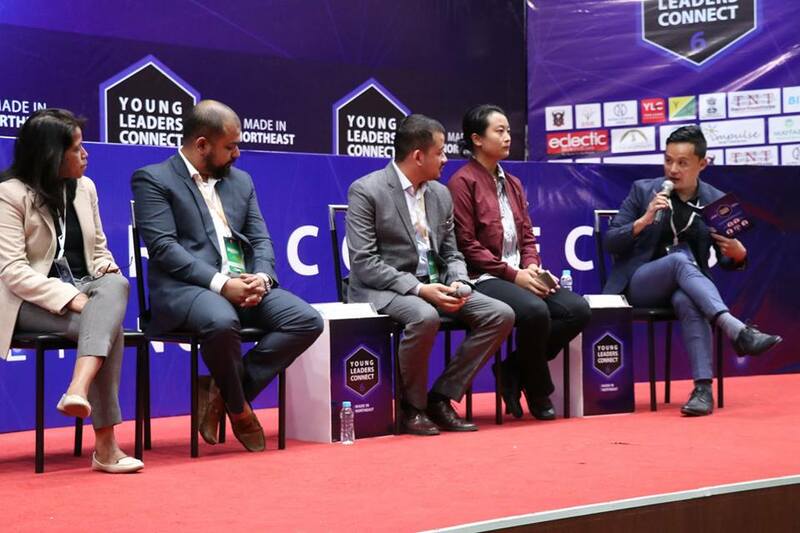 The round table was attended by core members of YLC, NEEF fellows and partner organizations. 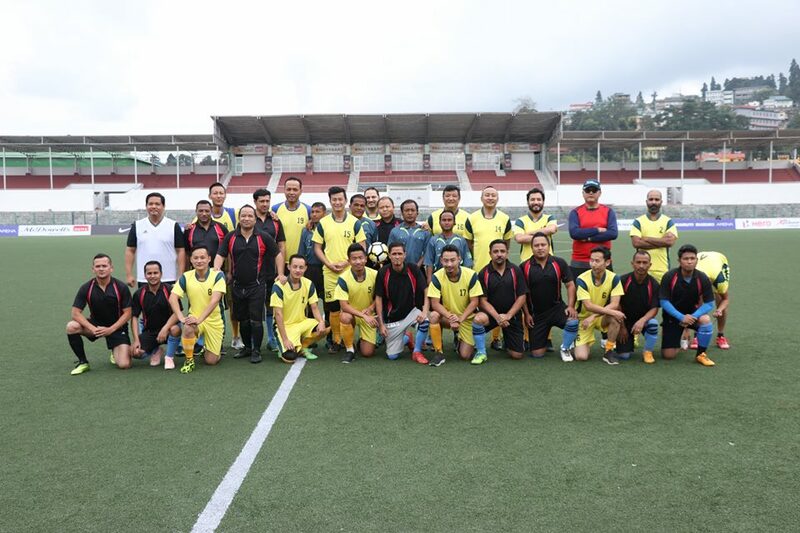 The two day conclave closed with an exhibiton football match played between CM XI and YLC XI at the Polo grounds. 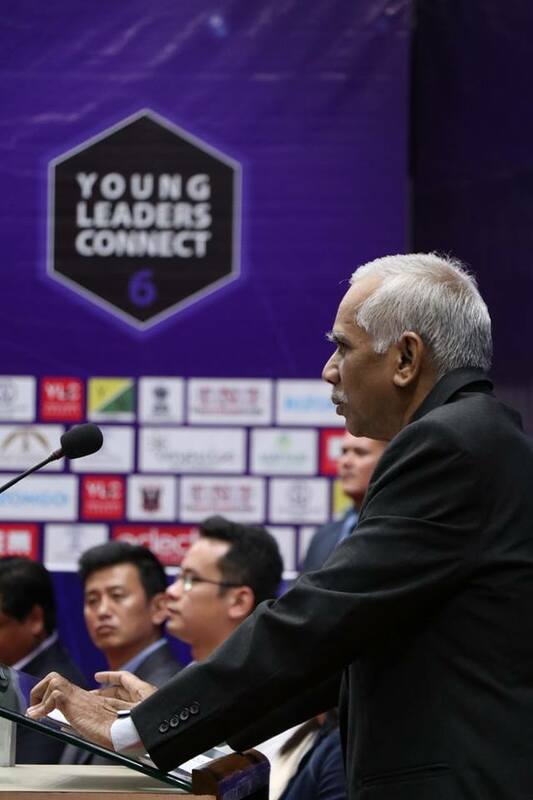 YLC is an initaitive of YouthNet Chaired by Bhaichung Bhutia and started in 2011 in Kohima.